Portland dance punk/indie rockers Hockey will be in the country at the end of the month to hitch a ride on the national Laneway Festival tour, and they’ve just released a teaser video for all you fans out there. Greetings again, Music Feeders. Now, I know I said there was a lot to amuse yourselves with last week, but it seems Spring is truly upon us this week, with even more awesome gigs across the city to amuse and entertain. 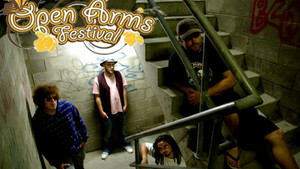 Following on from a MASSIVE inaugural event last year, The Open Arms Festival is back for 2009.